Rochester, NY, May 25, 2010 --(PR.com)-- HubShout, LLC is a national SEM firm with a specialty in search engine optimization and pay-per-click management. With several years of successful direct client management HubShout opened an SEO reseller program in 2009 to a limited number of web design companies and agencies. The initial launch was a pilot to explore how their proprietary SEM technology platform would be received by companies who might want to outsource SEO. Based on early success and positive feedback, the SEO reseller programs have been expanded in 2010. HubShout's co-founders both come from Fortune 100 backgrounds and had agreed from day-1 that both transparency and accountability were missing in the SEO reseller space. With a long history in the outsourcing space, it seemed logical that agencies and web design companies would want to outsource SEO. But with the major players situated off-shore, several problems seemed immediately apparent in the SEO reseller industry. First, many SEO reselling outfits seemed perfectly comfortable working under the guise of mystery, promoting fear of search engine optimization tactics inappropriately. With such an enormous amount of miss-information in the search engine optimization marketplace, it is easy to close deals using fear-tactics. HubShout views this approach as an irresponsible business practice and wanted to shine light on the most misunderstood issues. Secondly, many SEO reseller teams are not actually accountable for business results. Even firms that offer guarantees often do so on long-tail keyword phrases that will never render a true benefit for the customer. This is not an appropriate SEO outsourcing approach. HubShout believes that the foundation for any real business partnership is true. As such, accountability is a central tenant of the HubShout service and technology. Search engine ranking results are prominently displayed and discussed with resellers and end-customers regularly. If a campaign is not working, it should be openly addressed rather than hidden. Long-term business relationships only emerge from true and obvious win-win situations. HubShout is proud to offer the most transparent and accountable SEO reseller option on the marketplace, backed by a proprietary, industry-leading software platform. With the goal of creating comfort for the firm looking to outsource SEO, the HubShout reseller technology platform delivers professional reports in PDF as well as direct login access to workflow and analytics throughout any campaign. Furthermore, the technology was designed to manage 80% of the typical SEO reseller customer support issues. Finally, with a white label SEO option, the technology can be completely branded under the logo of the web design shop or agency partner. 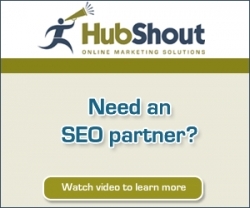 For more information about the SEO reseller program or how to outsource SEO and become a partner, please contact HubShout directly.